Blackhawk Bluff Civic Association treasurer Jenny Seymour sent out a letter to the community requesting donations to bring in a couple off-duty officers to keep the area safe with the increase in traffic driving in to see the spectacle. She says the light display brings in families from all over the area, but as a result it causes a major traffic jam. Not only does the traffic make it unsafe, but it can cause a headache for people trying to get home in the evening. The donations she says are optional, not mandatory. 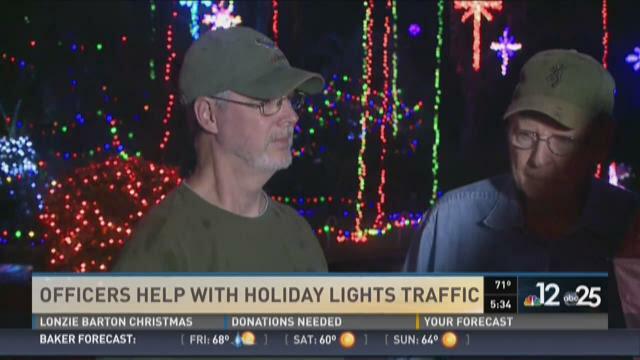 The idea first came about when an officer, who was stuck in the traffic jam after seeing the lights, called her and offered his services to help control the traffic. When First Coast News spoke to Seymour on Thursday morning, she said the whole traffic plan was being called off. She decided not to go through with it because she received too much negative feedback about having the patrol cars in the neighborhood. She said it was causing a debate and she would try it again next year. When Seymour notified the community she received several checks from people in the neighborhood for $10 to $40 to help pay the officers volunteering their time. Two GoFundMe accounts was even set up by individuals – not by the association – to help bring in money for the officers. Burnett and Seymour said they are both very disappointed in the negative feedback because they say they were only promoting safety. A few hours later, and Seymour called First Coast News back to report good news. She said they had raised so much money for the officers who volunteered their time she decided to go through with it at the last minute. She says one GoFundMe account even raised $600 and she wanted it to be put to good use because it showed people really cared. "Since we have the money, why don't we use it for the safety of the neighborhood," said Seymour. 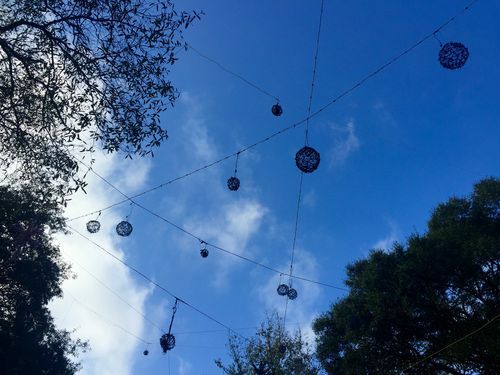 If you want to see the lights they are usually turned on between 5 and 6 p.m. and left on until around midnight each night. The subdivision is located off Girvin Road. The two officers who offered their services will be in the area helping to direct traffic starting Friday, Dec. 18 and lasting through the weekend and then again on Christmas Eve. Seymour says the bulk of the traffic starts around 8 in the evening. To avoid some of the congestion, she recommends avoiding Atlantic, and instead coming from Kernan or Wonderwood at the beaches.